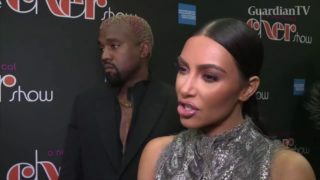 Kim Kardashian supports end of California death penalty. California Governor Gavin Newsom recently signed an executive order suspending the death penalty in California. As a result, 737 inmates currently on death row will not be executed. 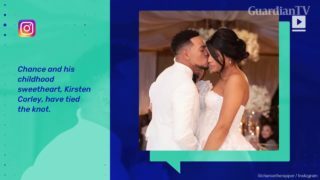 Chance the Rapper Gets Married Chance and his childhood sweetheart, Kirsten Corley, have tied the knot. The couple said, "I do," in front of 150 guests including Kanye West, Kim Kardashian and Dave Chappelle. Source, to E! 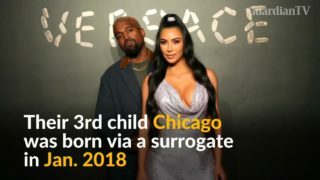 News According to the 'Chicago Tribune,' the couple actually tied the knot in a civil ceremony on December 27th last year. 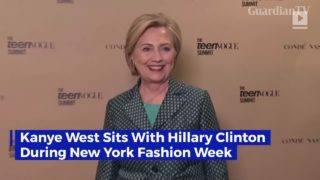 Kanye West sits with Hillary Clinton during New York Fashion Week. The rapper shared a photo of his seat at a Ralph Lauren event. The photo showed Oprah Winfrey, West has been vocal about his support for Trump. His wife, Kim Kardashian, has also worked with Trump to discuss prison reform. 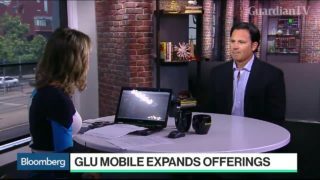 Nick Earl, Glu Mobile Inc. chief executive officer, discusses what's next for the mobile phone app company. 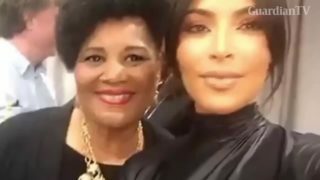 Kim Kardashian's mission to talk prison reform with the US president gets the tabloid treatment - and some people are disgusted. 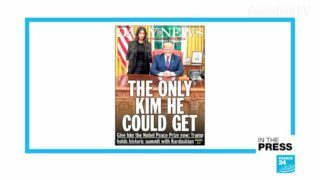 US tabloids go wild over the other Trump-Kim summit, overlooking the serious nature of the meeting to bring us headlines like "Overrated reality TV star meets with Kim Kardashian." On the Apr. 30 episode of The Ellen Show, Kim Kardashian, to Ellen DeGeneres Kim Kardashian, to Ellen DeGeneres Footage of the NBA player with another woman surfaced on Apr. 10, just two days before his daughter True was born. According to Us Weekly, Thompson had been cheating on Kardashian with multiple women since last November. Kim Kardashian shares first public photo of newborn baby Chicago West Chicago, who was born via surrogate, is closing in on two months old.